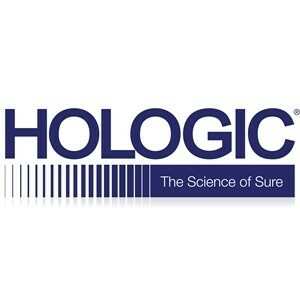 Hologic, Inc. announced today that it has received 510(k) clearance from the United States Food and Drug Administration (FDA) for its Panther Fusion® Paraflu assay, a multiplexed assay which runs on the new Panther Fusion® system. The Fusion Paraflu assay detects and differentiates Parainfluenza viruses 1, 2, 3, and 4. It is the second diagnostic assay available on the Panther Fusion system, complementing the Panther Fusion Flu A/B/RSV assay, which received clearance several weeks ago. "It's important to identify the cause of any infection to make sound clinical decisions about treatment," said Tom West, president of the Diagnostic Solutions Division at Hologic. "Molecular diagnostic tests have become the gold standard for pathogen detection due to their sensitivity and specificity." In addition to the Panther Fusion Paraflu and Flu A/B/RSV assays, a third multiplexed assay, the Panther Fusion AdV/hMPV/RV (adenovirus/human metapneumovirus/rhinovirus) assay, is under review by the FDA. This assay is not currently available for sale in the United States. Once all three Panther Fusion assays are cleared, they will offer a modular approach to syndromic respiratory testing via the ability to run one, two or all three assays from a single patient specimen. The Panther Fusion assays also utilize ready-to-use reagents, which offer up to 60-day on-board stability. "Our modular approach will enable laboratories to conduct respiratory testing in an efficient and cost-effective manner," said West. "The availability of three panels focused on the most frequently ordered tests allows labs the flexibility to meet specific patient needs without running unnecessary tests." The Panther Fusion is available as a full system, or the Panther Fusion module can be attached to existing Panther systems in the field to extend testing capabilities. Specifically, the Panther Fusion module adds the capacity to run PCR (polymerase chain reaction) assays in addition to tests based on TMA (transcription-mediated amplification), the proprietary Hologic chemistry that powers the Company's Aptima® brand. The Panther Fusion system retains all the key benefits of the Panther platform, including full sample-to-result automation, the ability to run multiple tests from a single sample, random and continuous access, sample processing with rapid turnaround time, continuous loading, and STAT capabilities. The Panther Fusion system and Panther Fusion Flu A/B/RSV, Paraflu, and AdV/hMPV/RV assays have been CE-marked for diagnostic use and are commercially available in Europe. Hologic, Panther Fusion® System,Panther Fusion® Paraflu assay,Molecular diagnostic test Hologic, Inc. (Nasdaq: HOLX) has announced that it has received 510(k) clearance from the United States Food and Drug Administration (FDA) for its Panther Fusion® Paraflu assay, a multiplexed assay which runs on the new Panther Fusion® system.